The Argentine Tango - mystical, passionate, sensuous, provocative. Basadi Le Maropa is South Africa’s foremost female marimba band. Representing the strength, talent and optimism of African women, Basadi provide a refreshing performance. Throughout history, this ritualized expression has usually been performed for other women, generally during fertility rites or parties preparing a young woman for marriage. The original legendary South African hip-hop crew. This is where hip hop began in South Africa. The first bollywood films to be shown were previewed in the Watson hotel and were silent movies of short length. Two brothers named Lumire were responsible for bringing cinema to India with those 6 short films that began the bolly wood story. "Where did these kids learn to dance like that?" To many people, this dance seems to have come out of nowhere. 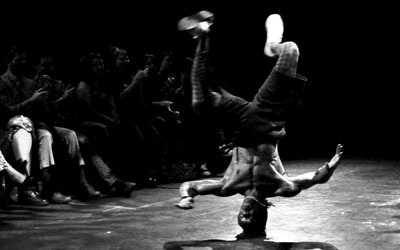 But like everything else, Breakdance did come from somewhere, something and someone. Dancers of the Desert are a world renowned belly dancing studio which teaches the beautiful art of Belly Dancing. Fire Dancing is made of a number of beautiful arts, many of which are fire twirling. In short, anything you can light on fire, you can fire dance with! Gumboot dancing was a form of expression for the mine workers of the past South African regime. Hula is a graceful dance people of all ages around the world enjoy watching and performing. For some of those who perform hula it is a religion and others it is a fun way to get great exercise. Here's a popular supplement to virtually evening centered on good, old fashioned fun! Spectacular music tribute and full-scale stage production honouring the one and only King of Pop, Michael Jackson. Bookings for Promotional Models, Professional Show Case Dancers, Club Dancers, Designing and Renting of Costume Attire. Soweto’s Finest is a powerful and charismatic dance crew with amazing stage presence. 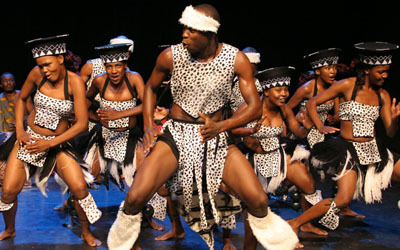 UMOJA, meaning 'togetherness' in Zulu, unites 30 singers, dancers, drummers, marimba players and muscians, who represent the best of South Africa's young performers many of whom come from severely disadvantaged township backgrounds. Vadhini has hosted a number of exotic shows presenting Indian dance in its original classical styles and innovative modern twist. The Zulu dance is a sign of happiness it's done when there is a Zulu wedding, inauguration of a king, when a child is born, when a war is won, the testing of virgins. The dance is taught to young girls and boys while in an early age.